The cannabinoids CBD and THC get a lot of attention. Were you aware, however, that there are over 100 identified cannabinoids in the cannabis plant? Increased research in the past decade plus has led to the discovery of many fascinating aspects of Cannabis sativa L., one of these being the numerous cannabinoids the plant contains. CBN is one of these cannabinoids. And like THC and CBD, CBN contains some significant therapeutic properties that could make this cannabinoid become the next big thing. Here we’ll explore CBN to gain a better understanding of how this cannabinoid could be of benefit to you. CBN, or cannabinol, is a cannabinoid that is produced when THC is exposed to oxygen. Basically, when THC oxidizes or is exposed to light and air, it turns into CBN. If you’ve had a bag of cannabis sitting around in a drawer for a year or so, this aged, poorly-stored cannabis is likely to be higher in CBN. This isn’t necessarily a bad thing. While you do want to properly store your cannabis flowers and products to keep it as potent as possible for as long as possible, CBN does have some promising therapeutic potential…especially when it comes to sleep. The discovery of CBN isn’t anything new. In fact, when experiments were first conducted on single cannabinoids back in the 1940s and 1950s, many were done with THC, CBN, or CBD that had been extracted from cannabis. Some of the very first pharmacological observations of CBN were carried out in 1946, where it was discovered that THC (but not CBD) caused a cataleptic state in mice, and that CBN only induced catalepsy when given to mice in high doses. Not only were these observations some of the first that suggested different cannabinoids contain different mechanisms of action, but also that CBN has a significantly lower potency than THC as a psychotropic compound. What this means is that CBN won’t get you high like THC. In fact, CBN has shown to have little (if any) psychoactive properties. This is perfect for those who want to enjoy the benefits of CBN but don’t desire the head change associated with THC. .
What exactly are the benefits of CBN? What are the Benefits of CBN? While there was a bit of early research into CBN, the cannabinoid hasn’t gotten as much attention as THC and CBD over the past several decades. With the somewhat recent discovery of the endocannabinoid system in the 1990s and the increasing legality and acceptance of medical and recreational marijuana, however, there have been a few significant discoveries about CBN in recent years. Like other cannabinoids, CBN holds promise for some serious health benefits. 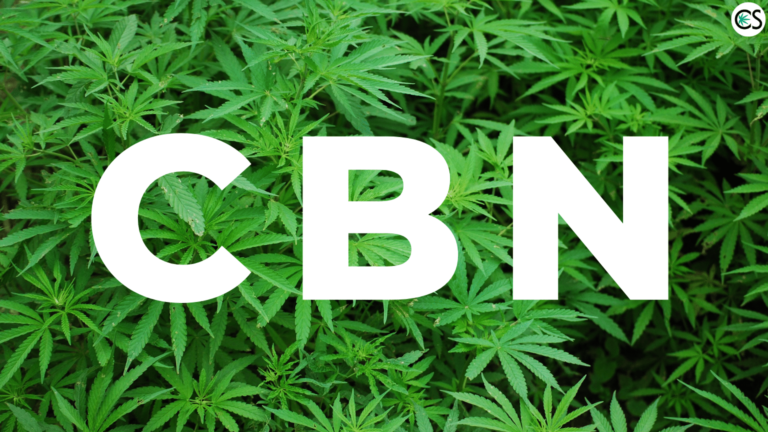 What are the benefits associated with CBN? One area where CBN truly seems to shine is with the powerful sedative properties it contains. This is especially the case when it’s combined with THC. Research by Steep Hill Labs indicates that just 5mg of CBN is as powerful as 10mg of diazepam (aka Valium). Indica strains tend to be higher in CBN, which could explain the sedating, couch-lock effect Indica is famous for. Because CBN isn’t intoxicating, you can get the sleep you need like you would when using THC…without having to be high. Here’s something to consider. CBN could encourage the growth of bone tissue. This is caused by indirectly recruiting mesenchymal cells, which are known to transform into blood cells, as well as bone and other types of tissue. Could CBN be promising as a future treatment for healing breaks and bone fractures? While, more clinical research is needed, the possibility is definitely there. CBN has an uncanny ability to slow down the overgrowth of skin cells. This is promising for psoriasis patients, as the condition causes skin cells to regenerate three to four times faster. One study found that the topical application of CBN helped treat psoriasis, leading researchers to suggest that the cannabinoid could be an effectual way of treating burns and MRSA (staph infection) due to the antibacterial properties it contains. Like both CBD and THC, CBN is also known to contain anti-inflammatory properties that could be beneficial for pain reduction. What Does the Future Hold for CBN? While CBN hasn’t reached acclaimed attention like THC or CBD, the future of the cannabinoid looks promising. Remember, just a decade ago, virtually no one knew about CBD! Can you believe that? Now the non-psychoactive cannabinoid is the best thing since sliced bread. That being said, CBN is also a unique cannabinoid in that it could have some serious therapeutic potential. It’s got such a strong antibacterial profile that it’s promising for even staph infection, it shows excellent potential as a sedative (perfect for those who suffer from insomnia), it could help stimulate bone growth and aid in helping to heal bone fractures and breaks, may work as an appetite stimulant due to the similar profile it shares with THC, and (like many other cannabinoids) can help reduce inflammation and the pain associated with it. Could CBN become the next big thing? It might be, and that’s especially true since it’s not psychoactive or prone to the side effects of THC. Those are not a good fit for many people. With the ever-increasing research on cannabis and the therapeutic compounds it contains, it’s likely that CBN will one day reach the attention it deserves. Will CBN Become as Big as CBD? We sort of doubt it, but then again, you never know. Cannabis, it turns out, is an extremely complex plant. Raphael Mechoulam, the man credited for first synthesizing THC, once called the plant nothing less than a “pharmaceutical treasure trove”. With more research, CBN could prove to hold benefits we don’t even yet know exist. In the future, we could see CBN oil tinctures, topicals, and capsules just like we do CBD, but for now there are very few options for purchasing straight CBN. There are some companies that sell CBN, but it’s not something pushed like CBD in the slightest. With its sedating properties, we imagine it would blend well into a CBD product intended for sleep. These sedating effects might also be promising for those who experience anxiety or panic attacks. Remember, research shows CBN does work just as well (if not better) than Valium. And it’s all-natural. If you’re looking to tap into some of the benefits CBN contains before the cannabinoid hits the mainstream cannabis scene, your best bet is to inquire with your local medical or recreational dispensary about any strains or products they might have that contain higher concentrations of CBN. If it’s specifically CBD hemp oil with high amounts of CBN you’re after, just check the cannabinoid profile of the lab report for significant levels in the final product. Have your own thoughts and experiences with CBN? Leave a comment and let us know your story.